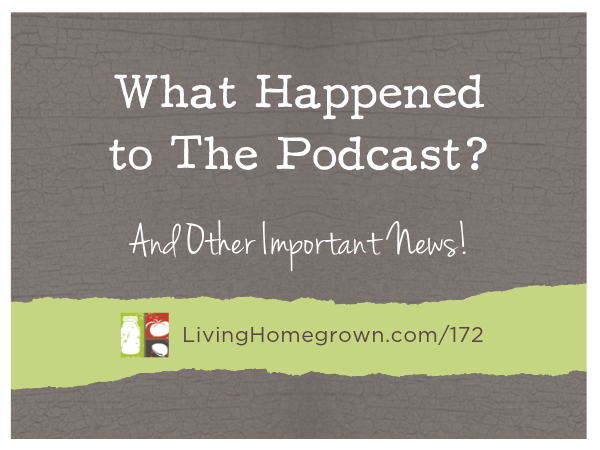 LH 172: What Happened To The Podcast? You are probably wondering what happened to me. Right at the end of December I came out with episode 171 on heirloom flowers, and then I went radio silent. I never meant to be gone this long, but I did this special episode to explain why I’m taking a break, what’s going on with my life, and what’s new in my business. Many of you have written to me concerned and I totally understand. I want to put all of those worries to rest! Everything is fine, and only good things are happening.